Order within 1day 20hrs 32mins for delivery Tuesday 23 April using next day delivery at checkout. Introducing the Griffin Immerse Case for iPhone 5. 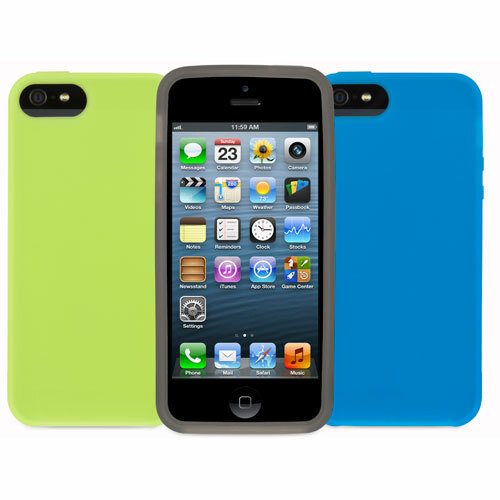 The Griffin Immerse case for the iPhone 5 - 3 Pack is a selection of three bright silicone cases that are perfect for keeping your brand new iPhone 5 in perfect condition. The cases Lightweight, slim and simple, the Griffin Immerse will add a burst of colour to your iPhone, without taking away from its sleek design and nature. Compatible with the new iPhone 5. Includes 3 cases in Blue, Grey and Green.